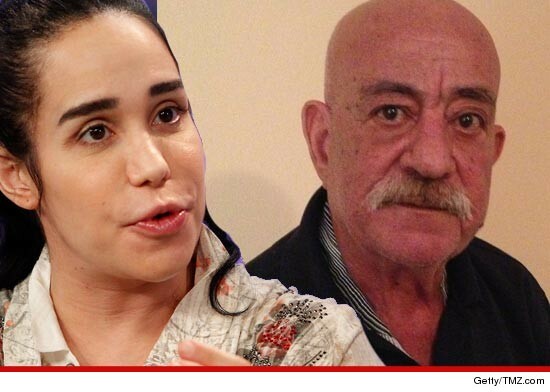 You know what they say -- the family that detoxes together� ... Octomom's dad has joined his daughter in rehab ... TMZ has learned. A rep for Nadya Suleman tells TMZ ... 71-year-old papa Octo (aka Ed Doud) -- checked into the Chapman House Rehabilitation Center Wednesday for a 28-day alcohol dependency program. We're told Ed's alcohol addiction goes back decades -- and he was inspired by his daughter to finally clean up his act. It seems the folks who run the joint want to keep father/daughter apart, because they haven't seen each other yet ... they're at opposite ends of the facility ... but we're told they'll definitely come together for some family therapy sessions. TMZ broke the story ... Nadya's in a 30-day program for Xanax dependency, while her kids are at home on their best behavior ever ... in the good care of 3 nannies.